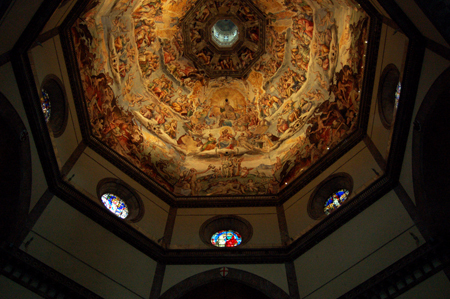 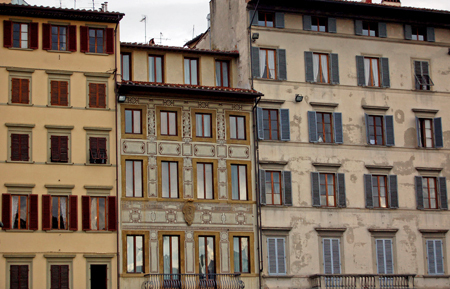 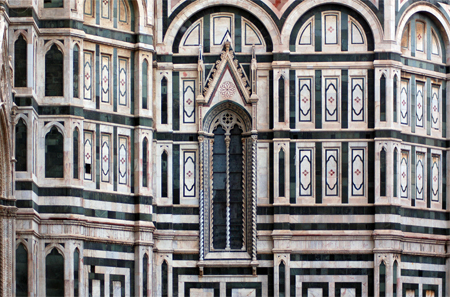 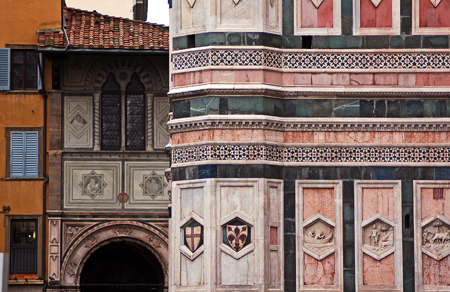 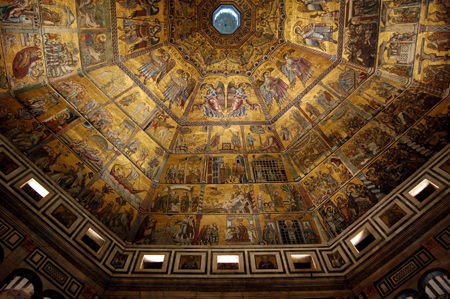 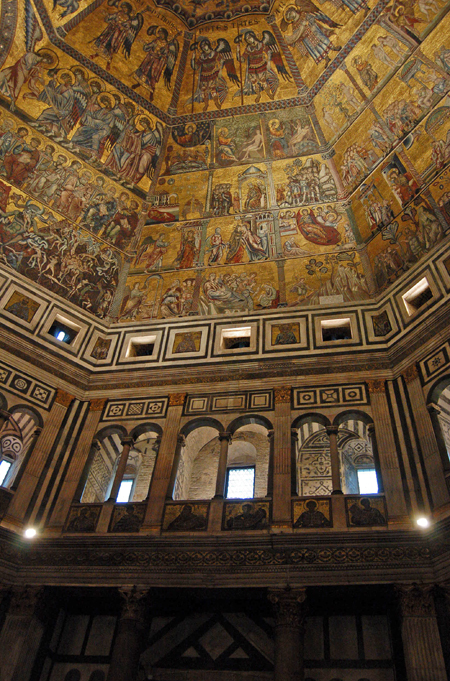 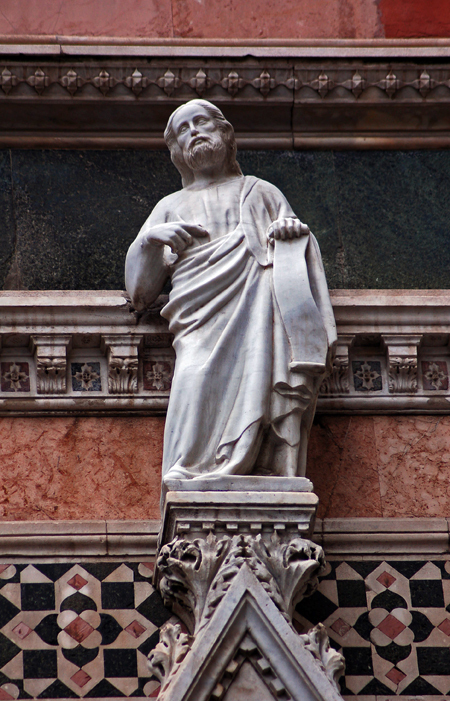 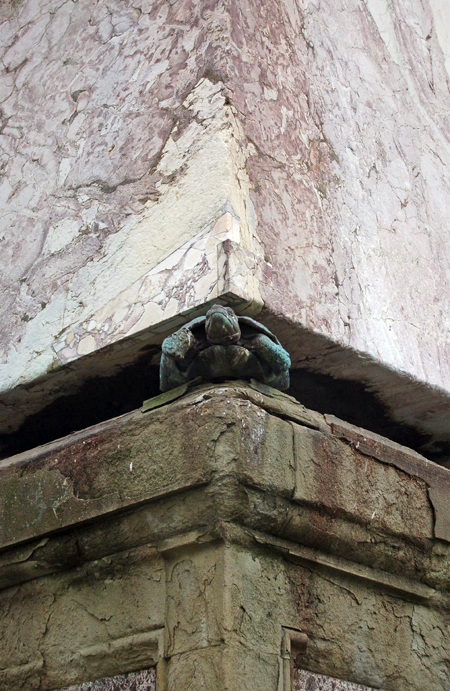 The beauty of Brunelleschi's dome is matched by this work. 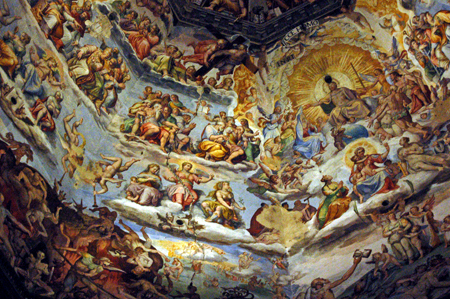 The fresco covers a surface of 3600 square meters (38750 square feet). 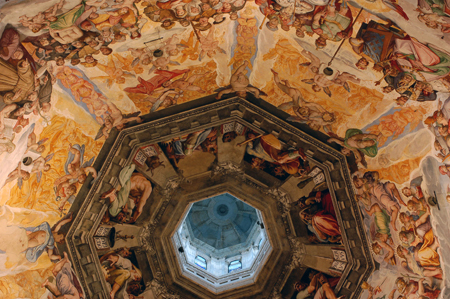 It was begun in 1568 by Giorgio Vasari but he died in 1574 so it was completed by Federico Zuccaro and other artists in 1579. 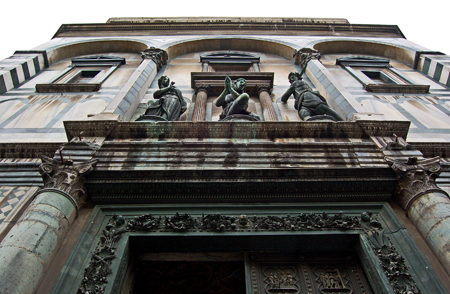 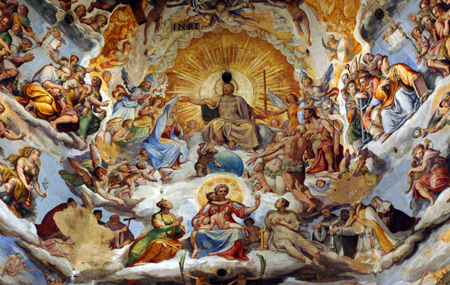 This is the scene of the The Last Judgement. 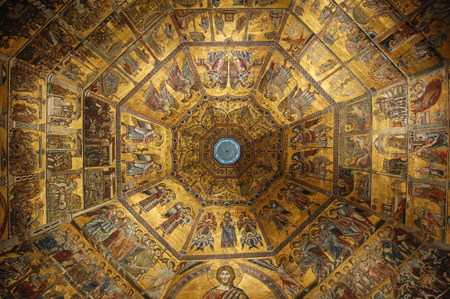 The mosaic ceiling parts of which date from 1225. 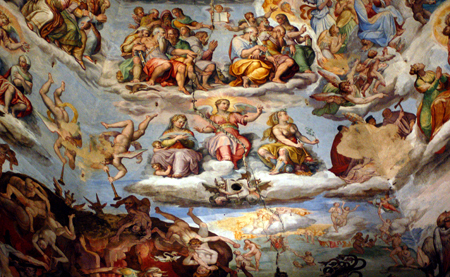 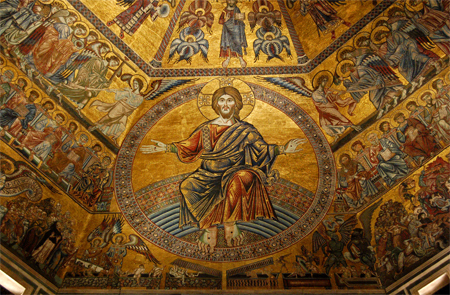 The Last Judgement with Christ and the Angels of Judgement at each side is by Coppo Di Marcovaldo. 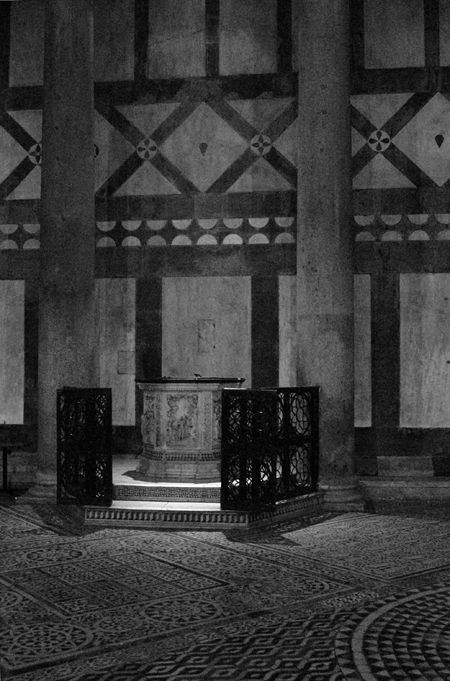 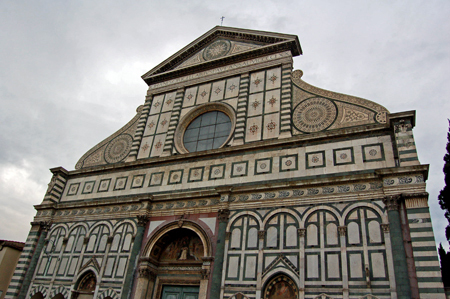 We then moved onto the Basilica of Santa Maria Novella, located just opposite its namesake train station.